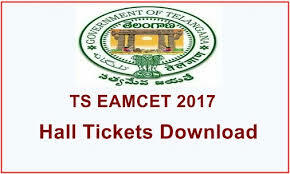 TS EAMCET 2017 Hall ticket/admit card available in online mode.TS EAMCET 2017 Hall ticket/admit card downloading will be start from the third week of April 2017. Jawaharlal Nehru Technological University, Hyderabad on the behalf of TSCHE (Telangana State Council of Higher Education) conducts TS EAMCET for admission to engineering and agriculture courses. Negative Marking: No negative marking will be prescribed.